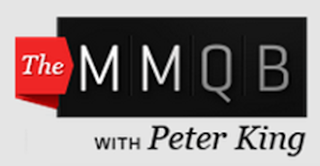 Mark it down: On March 8 at 4:00 p.m. ET, the contracts of San Francisco 49ers’ reigning 1,000-yard receiver Anquan Boldin, two-time conference champion center Jonathan Goodwin and notorious boom-lowering safety Donte Whitner will all effectively expire. As three slotted starters on offense and defense, this trio currently headlines the team’s unrestricted free agents in 2014. Two of them may even be among the most coveted at their respective positions if and when they hit the open market, in Boldin and Whitner. But if there is one and only one player they can prevent from testing free agency, it should absolutely be All-Pro placekicker Phil Dawson. Not Goodwin, not Whitner—no, not even Boldin. Factoring in the level of importance and disposability of each, the fog begins to clear, and it becomes easier to see that Dawson is the least replaceable. Those that have a stance on the draft, as well as an idea of the safeties and receivers available, may be able to come to grips with this reality easier than others. Moreover, those that witnessed Goodwin allow more hurries than in his prior two seasons—while also hearing about his thoughts of retirement at 35 years old—may understand why now is as good a time as any to find a new center to put in front of quarterback Colin Kaepernick. They must build for the future with players that bring higher ceilings. Not to mention the money it saves at all three positions, providing a better outlook for more pertinent contract extensions elsewhere. General manager Trent Baalke will be factoring all of this and more when it comes down to dipping into the team’s piggy bank, which is dwindling. But getting back to the man of the hour. Besides the fact that he is an affordable free agent, Phil Dawson is a stud special teamer at a position the 49ers value more than most NFL teams. He’s earned a new deal fair and square. And at his age, he’d prefer not to move on from a winner (or relocate at all). Per Steve Corkran of the Bay Area News Group, Dawson said he is certain talks will take place soon regarding a new contract and that he “absolutely” wants to re-sign with the 49ers. The 38-year-old kicker was the fourth-oldest NFL player last year, via ESPN Business insider Darren Rovell. For perspective, he’s 14 months Peyton Manning’s senior, who is the league’s oldest starting quarterback at 37 years old. But Dawson is aging like wine. He is still rocking and rolling, proving that a seasoned kicker is the best kind. This is largely because there is no substitute for experience here. Now Dawson has been great his entire career, but he’s really been phenomenal his past seven seasons. Since 2007, his field goal averages leveled out and remained above average, seeing highs of 88.9 percent, 89.5 percent and 93.5 percent in that time. His made field goals were also higher than ever, and his 50-plus-yarders really began to stand out to the rest of the league. And this success has been steady. It’s the peak of his career. Between made field goals and extra points, a newly acquired Dawson scored 140 points in his debut for the 49ers this past season, making him the sixth-most valuable player in the league in that category. And this is all just for starters. As you’ll see here, Phil Dawson makes an impact from the kicker spot and fills a critical under-the-radar need for this particular ballclub. Here is why the 49ers must get a deal done. The red zone is a low-percentage area of the 49ers in terms of offensive efficiency. Reflecting on pre-2011, San Francisco has a vastly improved offense. This is a unit that’s going places. But there are still kinks to be worked out. To briefly paint a picture, the 49ers have no problem driving the length of the field, but when they enter the red zone, they move about as well as a high-torque MazdaSpeed 3 with performance tires in three feet of snow. The wheels just spin and spin, going nowhere fast. It’s never been a strength of theirs, and it remains one area that’s been noticeably bad as everything else has improved around it since 2011. It continues to cost them points in the beginning of games and puts them in grave danger when they’re behind in the second half. That’s right sports fans: the 49ers need Dawson. Stability at kicker is an absolute must, largely because there is no immediate solution in sight. The scariest part is that these red-zone issues are not for lack of talent, but for lack of vision and balance offensively. Scott Kacsmar of Bleacher Report produced an extensive study on the decision-making and end results by the 49ers offense in goal situations over the 2011-12 seasons. As it turned out, they had one of the lower-end TD rates, one of the worst sack percentages and the 31st pass ratio. It’s a recipe for disaster and why kicker David Akers received over 75 percent of the workload in that area during that span (49 attempts inside 39 yards alone). Kacsmar also alluded to how their run-dependency and sack percentage in that area is a problem. This is a philosophical issue that’s endured personnel change. Even with Anquan Boldin on board as a shiny new target and a new dual-threat quarterback, it’s been the same old song and dance. In 2013, they came in 31st in attempts in the red zone again, despite being the sixth-ranked team in TD conversion rate through the air, per Rich Hribar of XN Sports. Essentially, when they passed in the red zone, they were incredibly successful, but a majority of the time they ran the ball. In fact, per Hribar, Anquan Boldin alone was the fourth-best WR in red-zone conversion percentage. He also added that Vernon Davis was the second-best tight end in the same category. So, the Niners had two of the league’s top red-zone threats at their respective positions but failed to use them. As a result, Dawson accounted for 34.48 percent of San Francisco’s points scored in 2013. He was responsible for double-digit points in 10 games, including the playoffs. Over one-third of Dawson’s made field goals alone came in the 20-29-yard range. He was clutch in games that the team otherwise wouldn’t have scored in. Many times, it was Dawson and this defense winning games. Due to this internal struggle, the team necessitates a top-tier placekicker until further notice. Once they get beyond this and figure out a way to optimize their abundance of talent in constricted areas, there will be less emphasis on the need for a kicker. Then it won’t be as crucial. But until that moment, the 49ers cannot field a team without Phil Dawson. When he arrived in the Bay Area, Dawson did so as a first-team All-Pro selection. He was someone that became very polished over 14 seasons with the Cleveland Browns, much like Akers had with the Philadelphia Eagles before he changed teams. There’s a great deal of value in these types of vets because they’ve built up their range and are never fazed. Clearly, since Baalke has been in office, they’ve seen eye-to-eye with this. And Dawson fits the mold, bringing a strong, accurate leg. In his final run in Cleveland, he was 7-of-7 from 50-plus yards out, which was second best in the NFL. This is routine for Dawson too, as he was also 7-of-8 the year before, making him the No. 1 scorer from long range that year. Trading Midwestern snowstorms for the swirling winds in San Francisco, the streak has endured. In his very first year in scarlet and gold, Dawson set a franchise record with 27 consecutive field goals, which included hits from 52, 53, 55 and 56 yards out. He was flawless from Week 5 into Week 17, until it ended in the finale versus the Arizona Cardinals. But that week, Dawson still went on to connect on 3-of-4, including a game-winner. He never had a bad game. And yes, that’s the other aspect outside the consistency and leg strength: the game-winners. He’s on even when the pressure is at a maximum rate. It’s good to know that he does not wilt when the game is in his hands. And Dawson proved this over an impressive stretch. Coming up big three times at the end of the season, he put the lights out on Seattle in Week 14, Arizona in Week 17 and Green Bay in the Wild Card. If they don’t re-sign Phil Dawson, it is unlikely Baalke signs any other placekicker in free agency. If they’re going to spend, they’re going to spend on Dawson. This would leave the draft as their one remaining option. And they have to consider that rookie kickers are innately shaky. While it seems like kicking field goals naturally carries over, it’s not always the case. Most do well to have a callus in the NFL first, if only two or three years. For those that remember, the Niners were one of the few teams really rumored to draft a new kicker in 2013, obviously looking for David Akers’ replacement after his downfall. The front office inevitably passed on the draft, which had two worthy kickers, making their play for Dawson in free agency instead. But for the sake of hindsight, the players the 49ers were connected to most were obviously the Nos. 1 and 2 prospects in Dustin Hopkins of Florida State and Caleb Sturgis of Florida. Taken in the fifth and sixth rounds, they were the only two placekickers drafted, via NFL.com Draft Tracker. Hopkins, the 1a prospect to Sturgis’ 1b, was the second one off the board, taken by the Buffalo Bills. He did win the job over veteran Rian Lindell but suffered a groin injury and had to be placed on IR. In a last-ditch effort, Buffalo had to sign Dan Carpenter for the 2013 season. Sturgis, who was selected in Round 5 by the Miami Dolphins, played the entire year but only finished with a 76.5 field goal percentage. That ranked him 29th in the league. Only three guys were worse than that. He had eight total misses, which was also the second worst. For scale, Dawson would’ve been 90-plus percent with only three misses if you take away his 71-yard free kick in Week 4. This was a giveaway that gets lost in general stat-keeping. Nevertheless, the message here is that the best kicker in the draft may still only net you the poorest in the NFL. Veterans bring a sense of stability to the position that rookies don’t offer (Minnesota Vikings kicker Blair Walsh being one of the recent exceptions to the rule). The level of dependability Dawson brings is unparalleled to anyone in the draft, and even on the open market. And this is a team vying for a Super Bowl that can’t risk erraticism at kicker with said red-zone issues. The 49ers are not going to go into the playoffs with a timid youngster that is three winters removed from his 18th birthday. Frankly, San Francisco’s philosophy to keep bringing in hot kickers in free agency seems like the best course of action at this point, and Dawson is still on fire. It should also help that the Niners have the first crack at him in contract talks. When it comes down to it, Phil Dawson may be the No. 1 leg in the NFL, and no club in the league values and needs a clutch kicker quite like the 49ers. This is a match made in heaven and one the front office cannot afford to blow. Does it really look like they have the leeway to roll the dice on a daisy-fresh kicker? No, not with what characterizes them on game day. Risky does not even begin to describe gambling away a third of the team’s scoring production. They can't be conservative here. As far as free agents go, he is the most logical and valuable re-sign they can make. That is how they’ll get the most bang for their buck, while once again instituting stability at kicker for another year. They can always get better on offense and defense for cheaper in the draft, but kicker is just a different position altogether. 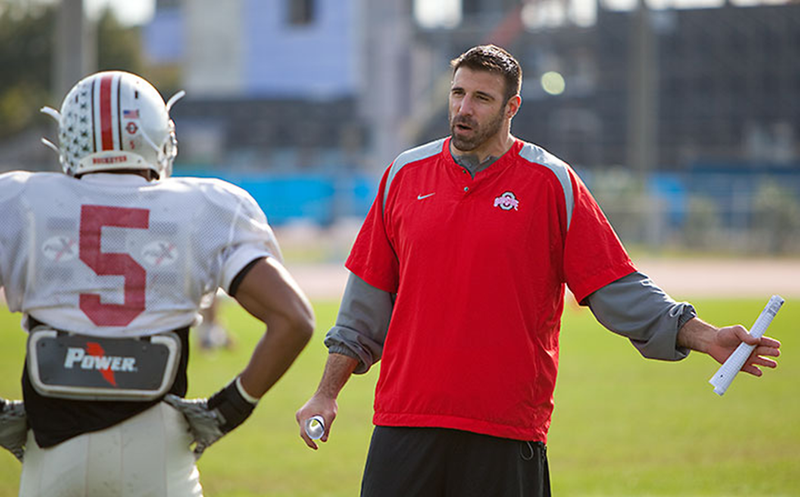 Sports Illustrated: Mike Vrabel a potential "rising star"
From Peter King's "Ten Things I Think I Think"
I think I am fascinated to see what kind of linebackers coach Mike Vrabel will be in Houston—and, three or four years from now, whether he starts climbing the ladder to coordinator or future head coach, or both. Strikes me as a potential rising star in the business. 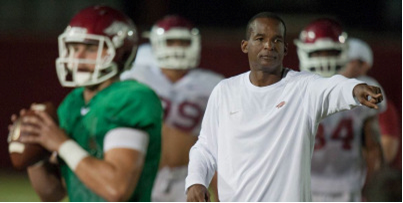 Linebackers coach Randy Shannon has been named Senior Associate Head Coach at the University of Arkansas, head coach Bret Bielema said Wednesday. Shannon, who was head coach at the University of Miami from 2007-2010, was a fan favorite to take the defensive coordinator job for the Hogs. However, Bielema’s statement Wednesday dismissed that notion. According to 5NEWS content partner Bo Mattingly, Bielema will make Tampa Bay Buccaneers assistant Robb Smith the new defensive coordinator. Smith, 38, spent the 2013 season with Tampa Bay as the linebackers coach. Before that he served as the defensive coordinator at Rutgers in 2012. The Scarlet Knights ranked No. 4 nationally in scoring defense, No. 6 against the run and No. 10 overall that season. Smith previously served as Rutgers’ secondary coach in 2010-11 and as the program’s outside linebackers in 2010. The Arkansas defensive coordinator job was vacated by Chris Ash when he left for the same job at Ohio State last month. EAST RUTHERFORD, N.J - If the Super Bowl comes down a last-second field goal, might as well head for the fridge. If your team has the ball, the question is not whether it's going to be good — it will — but whether to pop the cork on that bottle of champagne you've been saving for some big occasion. Small wonder that Seahawks coach Pete Carroll described Hauschka's , "He's very intellectual, very astute about his skills, in the game and the situation. We totally trust him."